PART NUMBER - 55574293 / 55572812. CAPTIVA - 2.2D - 2011 - ONWARDS - INCLUDES AWD. CRUZE - 1.7TD & 2.0CDI - 2010-ONWARDS. AVEO - 1.3D - 2011-ONWARDS. ORLANDO - 2.0D - 2011-ONWARDS. GENUINE CHEVROLET DIESEL GLOW PLUG RELAY. Vauxhall Opel (Almost All Models) From (2008 - 2017). Chevrolet (Almost All Models) From (2005 - 2017). Genuine4 Pin Grey Multi-Use Relay /Hi Power Relay. 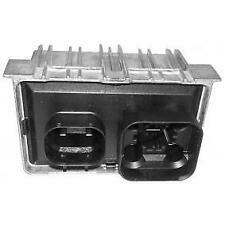 Genuine (Original) Vauxhall-Opel & Chevrolet (05-17) Hi Power 4-Pin Grey Relay. GLOW PLUG RELAY taken from CHEVROLET ORLANDO 2.0 VDCI 2012. Part Number: 0248. Vauxhall Opel (Almost All Models) From (2008 - 2017). Chevrolet (Almost All Models) From (2005 - 2017). 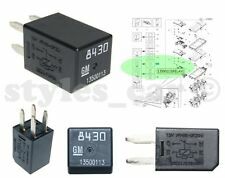 Genuine (Original) Vauxhall-Opel & Chevrolet (05-17) 5-Pin Black Relay. 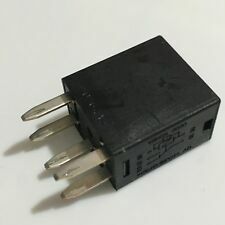 Genuine 5 Pin Black Multi-Use Relay. Vauxhall Opel (Almost All Models) From (2008 - 2016). Genuine5 Pin Brown Relay / Multi-Use Relay. Chevrolet (Almost All Models) From (2008 - 2016). GenuineGM Part. Fits both LHD & RHD cars. Good Working Order. We are Breaking a 2008 Chevrolet Kalos S (Facelift) 1.2L Petrol 71.1 Bhp 3 Door Hatchback 5 Speed Manual RHD. Paint Colour: Super Red. Option can be added at checkout. Removed from the car below but may fit other models/years. Vauxhall Opel (Almost All Models) From (2008 - 2018). Genuine 4-Pin Grey Relay / Multi-Use Relay. 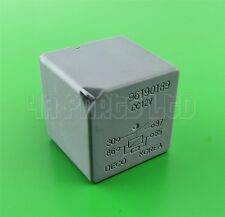 Genuine (Original) Vauxhall/Opel (2008-18) Chevrolet (2005-2018) 4-Pin Grey Relay. Made By GM in China. Daewoo Alomost All Models From (1995-2013). 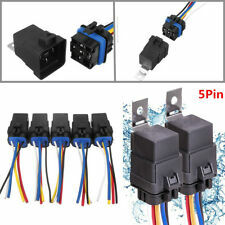 Genuine6 Blades ( Pin) White Relay /Multi-Use Relay. Chevrolet Alomost All Models From (1995-2013). Good Working Order. Condition:Used and Good Working Order. Chevrolet Kalos sx ( Pre-facelift model 2005 - 2008)Relay (Removed from a right hand drive car). This vehicle part was removed from a year 2005 Chevrolet Kalos SX 3 door Hatchback 1.4i petrol (Engine code F14D3) 5 speed Manual. FLASHER RELAY 1995. CHEVROLET C1500 PICKUP 1995. CHEVROLET C1500 SUBURBAN 1995. CHEVROLET C2500 PICKUP 1995. CHEVROLET C2500 SUBURBAN 1995. CHEVROLET C3500 PICKUP 1995. CHEVROLET K1500 PICKUP 1995. CHEVROLET K1500 SUBURBAN 1995. Genuine 4 Pin Grey Relay/Multi-Purpose Relay. Made inDeco in Korea. Good Working Order. Condition:Used and Good Working Order. Lacetti SX (MK1 (J200)). 1598cc 107/80 16v. Electric Front & Rear Windows, Electric Wing Mirrors. Set of Relays. Exterior Colour Code. The table below contains further information. Interior Trim Code. 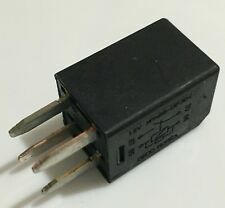 TURN SIGNAL FLASHER RELAY 1988/1995. CHEVROLET TAHOE 1995. CHEVROLET BLAZER 1992-1994. CHEVROLET C1500 PICKUP 1988-1995. CHEVROLET C1500 SUBURBAN 1992-1995. CHEVROLET C2500 PICKUP 1988-1995. CHEVROLET C2500 SUBURBAN 1992-1995. All spare parts are used, checked and tested at our best knowledge and experience. We have 1000s of parts on the shelves from old Saxos till latest Bentleys. Professional, friendly staff are always happy to help you. Collection in person available. in good working order. Daewoo Alomost All Models From (1990-2010). Genuine 4 Pin Grey Relay/Multi-Purpose Relay. Made inDeco in Korea. Good Working Order. Condition:Used and Good Working Order. 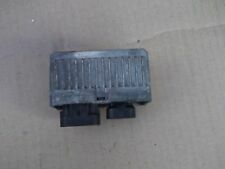 Chevrolet / Daewoo Matiz Pair of Relays. This vehicle part was removed from a year 2004 Chevrolet Matiz LE. Removed from a right hand drive car. This is a used part and may have marks and signs of usage. Vauxhall Opel (Almost All Models) From (2008 - 2016). Genuine5 Pin Black Multi-Use Relay. Chevrolet (Almost All Models) From (2005 - 2016). Fits both LHD & RHD cars. Good Working Order. Part number: 96190187. We are Breaking a 2008 Chevrolet Kalos S (Facelift) 1.2L Petrol 71.1 Bhp 3 Door Hatchback 5 Speed Manual RHD. Option can be added at checkout. Removed from the car below but may fit other models/years. Number Of Pins :5. Item will be sold as it is shown in the pictures (you will receive exactly what you can see in the pictures). CHEVROLET MATIZ SE (MODEL M200) 2005- 2009 SENSOR (Removed from a right hand drive car). THIS VEHICLE PART WAS REMOVED FROM A YEAR 2005 CHEVROLET MATIZ SE 5 DOOR HATCHBACK 1.0i PETROL ( Engine Code B10S) 5 SPEED MANUAL. Part Number: 13500114. Other Part Number: 8385. Vauxhall Opel (Almost All Models) From (2008 - 2017). Chevrolet (Almost All Models) From (2005 - 2017). Vauxhall Opel & Chevrolet (2005-2017) Hi Power 4-Pin Grey Relay. Part Number: 13500113. Other Part Number: GM 13500113. Genuine Vauxhall Opel & Chevrolet 05-17 4-Pin Black Mini GM. Vauxhall Opel (Almost All Models) From (2008 - 2017). Chevrolet (Almost All Models) From (2005 - 2017). PART NUMBER:- 0281033041 96440063. CHEVROLET CAPTIVA 2.0 VCDI Z20S1 BOSCH GLOW PLUG RELAY. Whilst every effort is made to ensure that parts are despatched in good working order, problems and faults do occasionally occur. All our parts are genuine! Part Number: 96 329 341.and don't forget drive safely! We will always respond! Price: 14 GBP. Chevrolet Kalos Pair of Relays. This vehicle part was removed from a year 2005 Chevrolet Kalos se. This is a used part and may have marks and signs of usage. Part number: 96190189. We are Breaking a 2008 Chevrolet Kalos S (Facelift) 1.2L Petrol 71.1 Bhp 3 Door Hatchback 5 Speed Manual RHD. Option can be added at checkout. Removed from the car below but may fit other models/years. PART NUMBER 96508092. 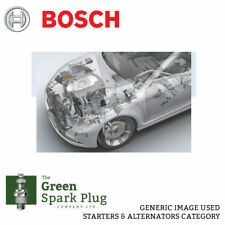 IF PARTS COMPATIBILITY IS LISTED THEN IT IS ONLY TO BE USED AS A GUIDE. FOR RIGHT HAND DRIVE VEHICLES. IF THERE ARE PART NUMBERS IN THE ADVERT, THEY'RE THERE FOR A REASON. THIS MUST BE CHECKED PHYSICALLY AGAINST THE PART YOU ARE REPLACING.